Vacasi Sport (1-1) recorded its first loss at the home court on Tuesday night. Hosts were defeated by ninth ranked Pampichi (1-2) 66-56. Pampichi dominated down low during the game scoring 46 of its points in the paint compared to Vacasi Sport's 26. The best player for the winners was swingman Diego Villagran (-93) who scored 18 points and 5 rebounds. 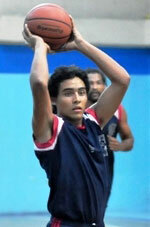 Gilberto Escobar chipped in 17 points and 4 assists. 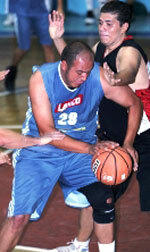 At the other side the best for losing team was Juan Ventura (-96) who recorded 14 points and 9 rebounds. Vacasi Sport's coach rotated eleven players in this game, but that didn't help. It was the only win of guest team this round and in all other games host teams recorded victories. Pampichi left bottom position moving up to sixth place, which they share with Amatitlan. Vacasi Sport at the other side keeps the fifth position with one game lost. Pampichi will have a break next round, and it should allow them to practice more before next game. Vacasi Sport will play against La Villa (#10) and is hoping to win this game. Amatitlan can celebrate finally their first win this season after two consecutive losses. They used home court advantage to defeat La Villa (0-3) 76-50. It was a good game for Walter Gasparico (-89) who led his team to a victory with 21 points, 8 rebounds, 6 assists and 9 steals. Walter Ramirez contributed with 15 points for the winners. Mynor Maldonado (-95) replied with 12 points and 6 rebounds for La Villa. La Villa's coach gave up on the game allowing to play ten players seeing no chance for a win. It was the only win of host team this round and in all other games visitors recorded victories. Amatitlan (1-2) left bottom position moving up to sixth place, which they share with Pampichi. It was La Villa's third loss in a row. They still close the standings with three games lost. Amatitlan will play against GMS (#8) in the next round. La Villa will play against Vacasi Sport and hopes to get finally their first victory. Amatitlan can celebrate finally their first win this season after two consecutive losses. They used home court advantage to defeat La Villa (0-3) 76-50. 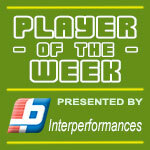 Amatitlan dominated down low during the game scoring 50 of its points in the paint compared to La Villa's 28. It was a good game for Walter Gasparico (-89) who led his team to a victory with 21 points, 8 rebounds, 6 assists and 9 steals. Walter Ramirez (-97) contributed with 15 points for the winners. Mynor Maldonado (-95) replied with 12 points and 6 rebounds and the former international forward Carlos Chavez (191-89) added 8 points and 6 rebounds in the effort for La Villa. La Villa's coach gave up on the game allowing to play ten players seeing no chance for a win. It was the only win of host team this round and in all other games visitors recorded victories. Amatitlan (1-2) left bottom position moving up to sixth place, which they share with Pampichi. It was La Villa's third loss in a row. They still close the standings with three games lost. Amatitlan will play against GMS (#8) in the next round. La Villa will play against Vacasi Sport and hopes to get finally their first victory. Vacasi Sport (1-1) recorded its first loss at the home court on Tuesday night. Hosts were defeated by ninth ranked Pampichi (1-2) 66-56. Pampichi dominated down low during the game scoring 46 of its points in the paint compared to Vacasi Sport's 26. The best player for the winners was swingman Diego Villagran (-93) who scored 18 points and 5 rebounds. Gilberto Escobar chipped in 17 points and 4 assists. Four Pampichi players scored in double figures. At the other side the best for losing team was Juan Ventura (-96) who recorded 14 points and 9 rebounds and forward Alejandro Izaguirre (191-87) added 14 points and 7 rebounds respectively. Vacasi Sport's coach rotated eleven players in this game, but that didn't help. It was the only win of guest team this round and in all other games host teams recorded victories. Pampichi left bottom position moving up to sixth place, which they share with Amatitlan. Vacasi Sport at the other side keeps the fifth position with one game lost. Pampichi will have a break next round, and it should allow them to practice more before next game. Vacasi Sport will play against La Villa (#10) and is hoping to win this game.